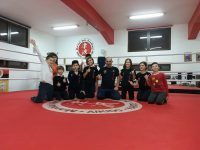 Posted by Aikido March - 16 - 2019 Comments Off on Aikido for kids! New – Pilates & Stretching for women! Posted by editor March - 16 - 2019 Comments Off on New – Pilates & Stretching for women! New Pilates for women – Keep fit and beauty! Copyright © 2019 Aikido Association of Cyprus - Chief Instructor – Sensei Agis Agisilaou.